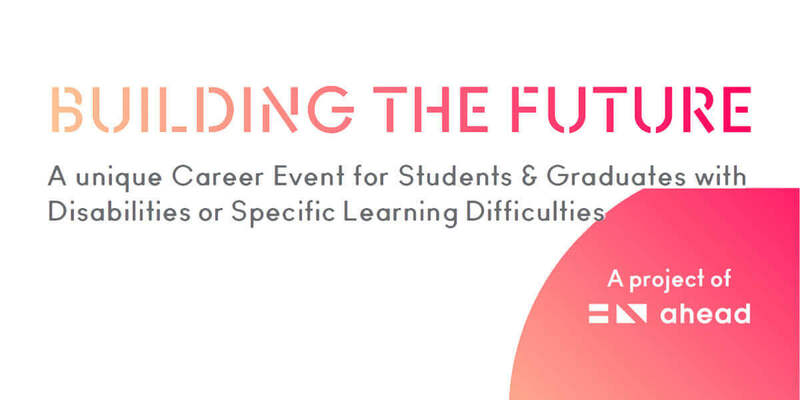 Building The Future 2019 – A unique career event for students and graduates with disabilities or specific learning difficulties. Do you want to get real job opportunities in up to 20 different roles with up to 16 employers? Are you looking for paid, mentored jobs with our WAM employers? Do you want to work for disability aware and accessible companies? Do you want to have your CV looked at by highly skilled recruitment staff? Do you want live feedback from mock interviews from big name employers? Then you need to attend the only unique careers event aimed at students and graduates with disabilities. Building The Future will host 15 employer stands, where you can talk to HR staff from big companies about real opportunities for both WAM placements and other roles. All attendees will be entered into a draw with a chance to win an iPad Mini.